Happy Birthday to Vincent Van Gogh! Besides being a favorite painter, a remarkable and unique figure in art history, he is also a part of Yellow House. As some may know, much of the inspiration for the name of Yellow House was my grandfather’s home…always yellow, always special. It was a place where I was surrounded by love, creativity, hard work, and political engagement. Also, my new neighbors referred to the colorless house on the corner of King and Phyllis streets in the CoRK Arts District as yellow, so who was I to say otherwise. BUT the connection to Van Gogh’s life also played a role in the shaping of this community’s Yellow House. 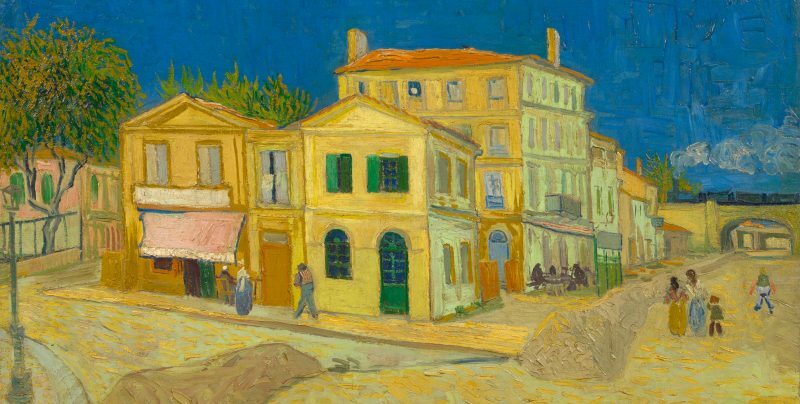 In 1888, Vincent van Gogh rented a house painted yellow in Arles, France. His desire for company and a sounding board guided him to turn the space into a “studio of the south” where artists could live and work together. He created some of his most beloved paintings to decorate the house. This place was a symbol of his independence and also became a part of the fabric of the town. I had the great privilege of visiting Arles and walking in his Van Gogh’s footsteps when I was a young Art History major and it left a deep impression. So, as the idea of a space for artists and community to connect became a reality for me, it became clear it needed to be Yellow House…in color, in name, and in purpose. I believe every community needs a yellow house. Thank you for the inspiration Vincent on this day of your birth!